Lorenzo e Anna non si vedevano da un po’, causa impegni e vacanze varie. Idem i genitori… cosi’ oggi abbiamo approfittato della bella giornata per raggiungere Luca, Chiara e Anna a Poggio, e passare con loro uno splendido pomeriggio. E, come sempre, Lorenzo e Anna sono stati davvero speciali e felici. Ma anche Beatrice e’ sembrata a suo agio, in attesa che arrivi la sua nuova amichetta. 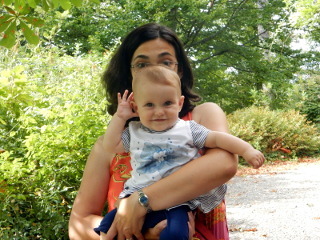 Today we went to Poggio Ferrato to see, after a while, Luca, Chiara and Anna. 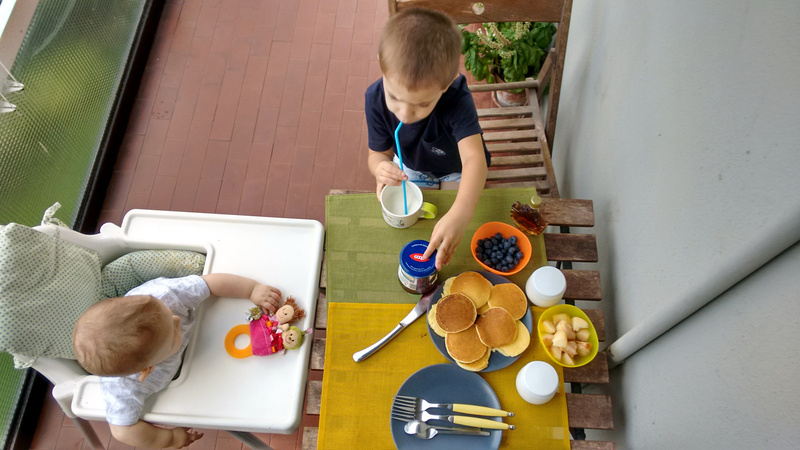 Lorenzo and Anna picked up blackberries with the help of Chiara, and this experience was quite exciting. Thanks a lot for the nice snack and for sharing with us such a wonderful afternoon. 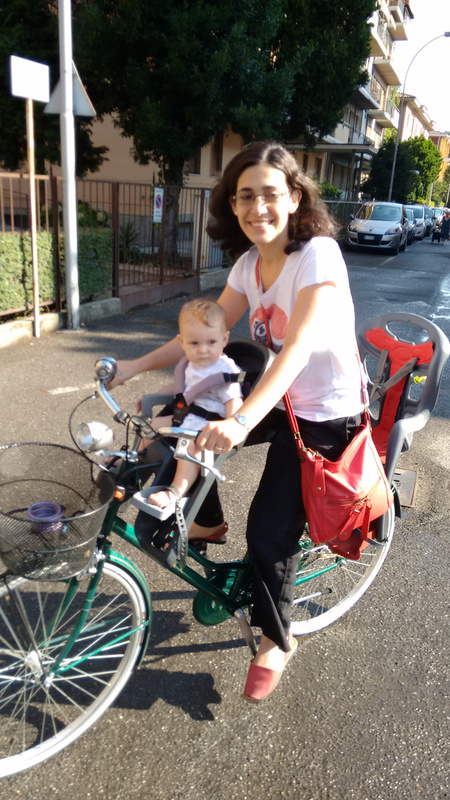 Yesterday little Bea, tried, for the first time, a ride bike together with mamma Silvia. She was happy and excited. 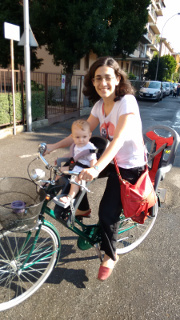 Unfortunately today, Silvia’s bike, fully equipped with two child seats has been stolen, at the hospital. We are sad, but for sure, we will be soon able to ride again all togheter. During the weekdays, it is hard to find some relax time, busy with job and babies. But on Saturday or Sunday, we do something… And last Saturday Silvia prepared some delicious pancakes for an “almost” american breakfast. Our friend Marco is back to USA, and we miss him a lot. So, when he stops few days in Pavia during his summer vacation, we always try to meet him, together with some old friends. 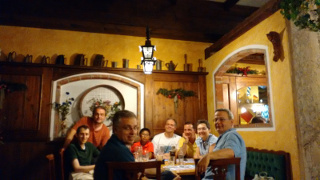 So, last Wednesday we drunk a beer together, and, as usual, it was a nice event. Thanks Marco, and maybe next time we will drink a beer in California all together. It would be nice…. In this period many friends of us are travelling back to Italy, usually for vacations. And many of them stop here at sacchibelli’s. 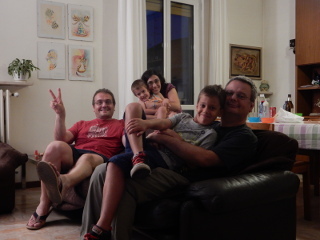 This evening Marco, with little Matteo, came to our place for a pizza together, followed by our famous hand made gelato. Thanks Marco, and although we didn’t see you and Anna together, at least we have seen you separately. And next time, maybe in California, we will meet all together. 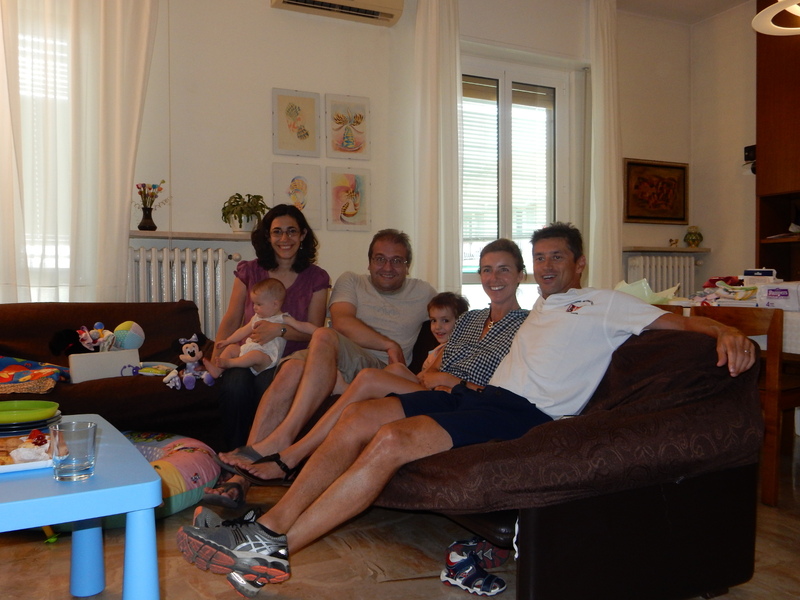 The older male component of sacchibelli family met Matteo and Vale 25 years ago at University. We studied together and then, after graduation, they went to Usa. Although we live so far away, we feel them as true friends, and they probaby do the same. So, when we go to south California or when they come back to Italy for summer vacations, we always find a way to see each other. So, this morning, they stopped at our place to know little Beatrice. And, as always, it is like 25 years ago, we love to stay together. Ieri e’ stato un giorno triste, con l’ultimo saluto a Claudio. Molti amici sono venuti a salutarlo, arrivando da ogni parte d’Italia, e non solo. Tra questi Cesare, amico e ex collega comune, che ora vive a Neuchatel con Maria e le sue splendide bimbe. Abbiamo cosi’ avuto l’occasione di pranzare insieme e, nonostante l’atmosfera cupa, abbiamo trascorso un bel pomeriggio. Prima o poi andremo a Neuchatel a trovarli, abbiamo promesso che lo faremo per la primavera 2016. E ora che l’abbiamo scritto, non possiamo non mantenere la promessa. 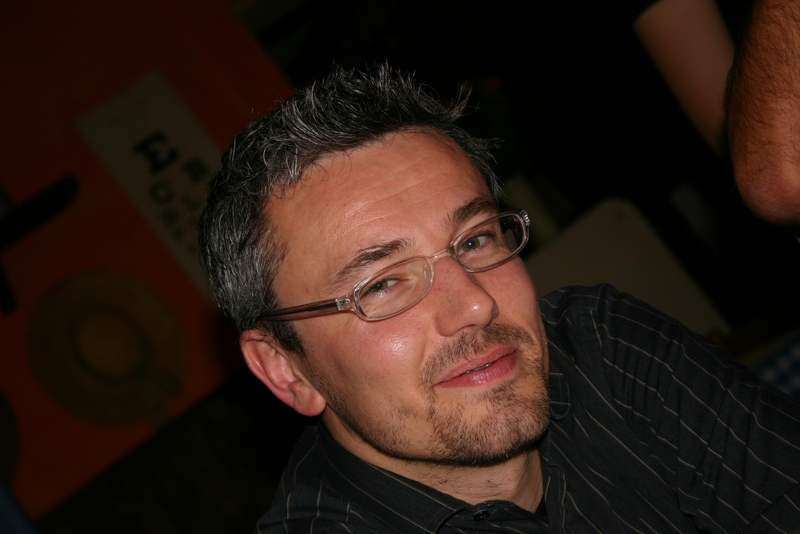 Yesterday it was a sad day, with Claudio’s funeral. Many friends of him came from everywhere. One of them was Cesare, a common friend and colleague, came from Neuchatel, and we spent the lunch together. We promised him that soon we will go to Neuchatel to meet all his wonderful family, and to know Chiara, who arrived few days after Beatrice, last December. Today the terrible news. A car crash, and we lost you. We already miss you, we miss your smile and we can’t understand how Giovanna and the babies will be able to go on without you. Please help them from the sky. They need you. Lorenzo e Viola[/caption]Con un po’ di ritardo ecco il post relativo a domenica scorsa. Giornata calda (non come oggi, ma pur sempre calda), ma trascorsa con la piacevole compagnia di Viola e Sokratis (compagni d’asilo di Lorenzo) e i rispettivi genitori. 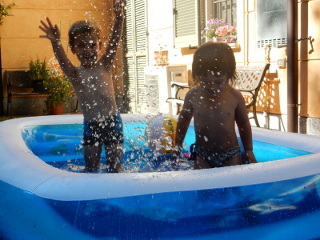 E con l’indiscutibile beneficio della bellissima piscinetta piazzata nel magico cortile di casa di Viola. Grazie!!! With a bit of delay, here there is the post about last Sunday. 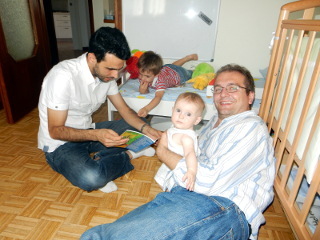 We went at Viola’s place together with Sokratis living a kind of small kindergarden experience. Carlo and Cristina (Viola’s parents) were very kind, and we really enjoyed the small swimming poll placed in the magic courtyard of Viola’s place. Thanks a lot!! !